Former SNP leader Alex Salmond has resigned from the party amid allegations of sexual misconduct. In a statement he said he wanted to avoid internal division within the SNP, which has faced calls to suspend him. He has denied any wrongdoing, and said he intended to apply to rejoin once he had an opportunity to clear his name. It emerged last week that two Scottish government staff members had lodged complaints in January about his behaviour when he was first minister. 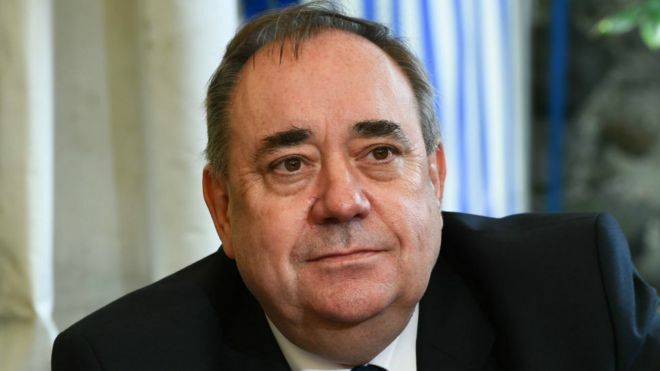 Mr Salmond has described the allegations as "patently ridiculous" - and has also criticised the complaints procedure which he claims is "unjust". On Tuesday he formally began legal action against the Scottish government in the Court of Session over its handling of the misconduct allegations. In a statement released on social media, Mr Salmond said he had been a member of the SNP for 45 years, 20 of them as party leader and seven as first minister. 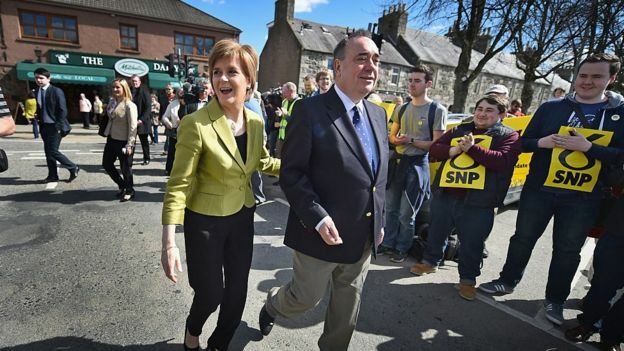 He continued: "I truly love the SNP and the wider independence movement in Scotland. They have been the defining commitment of my life. But today I have written to the National Secretary of the party resigning my membership." Mr Salmond indicated that his resignation was to avoid potential divisions within the party, as his successor Nicola Sturgeon faced opposition calls to suspend his SNP membership. He stated: "I did not come into politics to facilitate opposition attacks on the SNP and, with Parliament returning next week, I have tendered my resignation to remove this line of opposition attack. "Most of all, I am conscious that if the party felt forced into suspending me it would cause substantial internal division." The current SNP leader and first minister, Nicola Sturgeon, said she "felt a huge sadness about the whole situation". In a statement on Twitter, she said the decision was Alex Salmond's alone, and she understood why he had chosen to separate "the current questions he is facing from the day to day business of the SNP and the ongoing campaign for independence". She continued: "The hard fact remains that two complaints were received by the Scottish government that could not be ignored or swept under the carpet." The Daily Record newspaper broke the news of the sexual misconduct allegations last Thursday. The paper claims to have seen the wording of one complaint which describes an incident alleged to have taken place at the first minister's official residence in Edinburgh, Bute House, in the first week of December 2013. The two women lodged complaints in January this year, just weeks after the Scottish government adopted a new complaints procedure in the light of wider concern about sexual harassment at Holyrood and Westminster. Mr Salmond claims that the subsequent investigation into the allegations against him by senior Scottish government civil servants was "unfair and unjust". He said he had been given no opportunity to "see and therefore to properly challenge the case against me" and that he had "not been allowed to see the evidence". Mr Salmond has also claimed that someone within the Scottish government has "flagrantly and repeatedly" breached the confidential complaints process by leaking details to the Daily Record. He is now seeking a judicial review of the new complaints procedure and has launched a crowdfunding appeal to fund his legal action. The Scottish government has insisted the complaints process has been "entirely confidential throughout" and has said it will defend its position vigorously in the courts. The complaints against Mr Salmond have also been passed to Police Scotland which has said it is assessing the information. Mr Salmond was Scottish first minister and SNP leader until September 2014 when he resigned following the "No" vote in the Scottish independence referendum. He returned to frontline politics when he was elected as the SNP MP for Gordon in 2015 and became the party's foreign affairs spokesman at Westminster before losing the seat in the snap general election two years later. 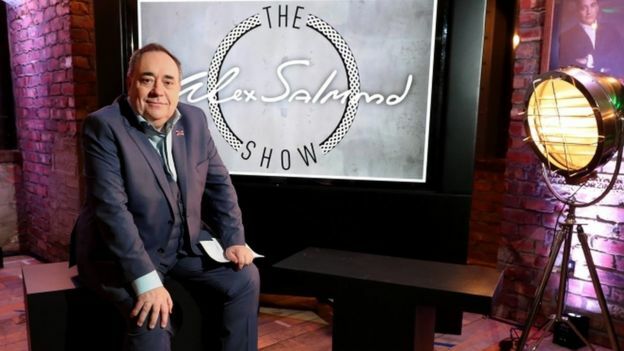 Since then he has faced heavy criticism for hosting the Alex Salmond Show on Russian broadcaster RT, which has been described as a propaganda channel for the Kremlin - a claim Mr Salmond has denied. Robert Green, major supporter in the notorious Hollie Greig case and coverup, regarding which he was unfairly jailed and has suffered other nefarious persecutions, speaks regarding important matters 24 Aug. 2018. The former first minister has denied the allegations and launched legal proceedings. Alex Salmond has been reported to police over allegations he sexually assaulted two staff members whilst First Minister. The former SNP leader has been accused of carrying out the attacks in the First Minister’s official Edinburgh residence in December 2013. The allegations - which will send reverberations through the political world - were passed to the police by Scottish Government officials after an internal probe. The Scottish Government tonight said they could not comment on the allegations. Salmond issued a denial of the allegations last night and revealed he has been engaged in legal action against the Government. He said: “For many months now, and on the advice of Senior Counsel, I have attempted to persuade the Permanent Secretary to the Scottish Government that she is behaving unlawfully in the application of a complaints procedure, introduced by her more than three years after I left office. "This is a procedure so unjust that even now I have not been allowed to see and therefore to properly challenge the case against me. I have not been allowed to see the evidence. “I have tried everything, including offers of conciliation, mediation and legal arbitration to resolve these matters both properly and amicably. "This would have been in everybody’s interests, particularly those of the two complainants. All of these efforts have been rejected. “The Permanent Secretary chose to deny me contact with any current civil servant, many of whom wished to give evidence on my behalf and access to documentation to allow me to properly challenge the complaints, all of which I refute and some of which were patently ridiculous. "The procedure as put into operation by the Permanent Secretary is grossly unfair and therefore inevitably will lead to prejudicial outcomes. “It is therefore with great reluctance that I have today launched a Judicial Review in the Court of Session which will decide the issue of the lawfulness of the procedure which has been used against me. "If I lose then I will have to answer to the complaints both comprehensively and publicly. "Until then I am bound to say nothing which would impinge on the Court proceedings. "In our submissions on Judicial Review we have asked that the complainants’ identity be protected. “If the Court of Session finds in my favour then the administration at the senior levels of the Scottish Government will have the most serious questions to answer. "In my opinion and for whatever reason the Permanent Secretary has decided to mount a process against me using an unlawful procedure which she herself introduced. Bute House, an A-listed Bute House in Edinburgh’s Charlotte Square is owned by the National Trust for Scotland and is the equivalent of 10 Downing Street for Scotland’s First Minister. It hosts cabinet meetings and other official business as well as late night functions for entertaining guests and other dignitaries.The Georgian property also has living quarters for the use of the First Minister when in Edinburgh. Salmond resigned as First Minister in the wake of defeat in the independence referendum in September 2014 and was replaced by Nicola Sturgeon.